The effective performance of a passive Distributed Antenna System (DAS) relies on the optimal placement of cables and antennas within the building needing better connectivity. The placement of antennas and cables depends on a number of factors, including outside signal strength and interior building layout. Poor cell phone reception and dropped calls remain a harsh reality for many business owners. As a WilsonPro solution provider, we understand that it’s critical to help your clients solve cell signal problems – with the installation of a cell phone signal booster system (passive DAS) being a cost-effective and quick fix for even the most difficult connectivity issues. You can maximize the performance of a passive DAS with the proper selection and placement of antennas and cables. Choosing which antennas to use and how to position them within a building depends on some key parameters, including outside signal strength and building layout. Let’s examine the top factors affecting cable and antenna selection and placement in a passive DAS. Outside signal strength primarily influences the wireless architecture of a passive DAS. Low outside signal strength requires more hardware to both capture the signal and boost it within the building. Performing a site survey provides accurate insight into signal quality and determines the source of the strongest signal, as well as identifying areas inside a building with weak signal, which can indicate best broadcast antenna installation points. Signal strength and origin affect both the type of exterior (Omni or Yagi) antenna used and the placement and mounting of those antennas. An Omni-directional Antenna receives signal from a 360-degree field and captures all available outside signals. Because Omni Antennas can capture signal from various towers, they offer the best solution for buildings with very poor signal reception. A Yagi Antenna, on the other hand, is directional, which means it must be pointed in a specific direction. Pointing a Yagi Antenna at a very weak signal source can ensure a boost in every Radio Frequency wave from that source. A weak outside signal also necessitates closer placement of interior broadcast antennas or perhaps even installing additional boosters within the building. 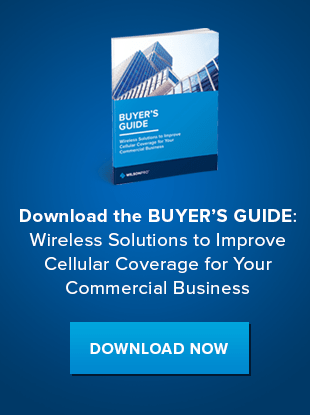 A single powerful cell phone signal booster, designed for large office buildings, can provide coverage for up to 35,000 square feet. The layout of a building also impacts cable and antenna selection and placement. For example, if you are designing an installation in a modern building constructed of concrete walls or glass, cell signal may not penetrate those building materials and the system may require additional hardware to be effective. Dome antennas, which mount to the ceiling, provide blanket coverage of an area with a 360-degree signal pattern, and therefore are suited to more open-plan spaces and drop ceilings. Panel antennas, most commonly mounted on walls, provide more effective coverage for long corridors and hallways with their focused signal pattern. When selecting interior antennas, consider employee use patterns or areas of greatest signal need like retail checkout lines or hospital waiting rooms. When cellular signal travels through cable, it loses strength. Therefore, the most efficient passive DAS systems minimize the length of cable runs to maximize signal boost. The shortest route from the outside antenna to the booster and on to the interior antennas determines optimal cable placement. If the building layout necessitates longer cable runs, the system might require more antennas or boosters to adequately boost the signal. However installers should consider how additional cable runs offset signal gain when adding boosters. 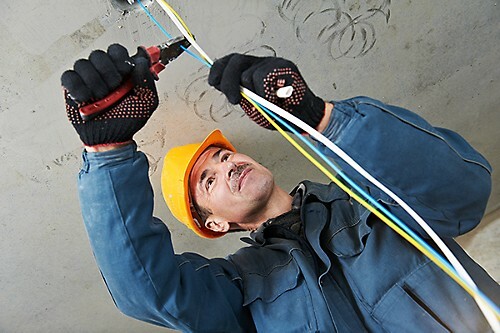 Cable bend also influences system efficiency. Cables bent at 180 degrees or more will less effectively transfer signal between antennas and the booster. Therefore consider how you run cable in tight areas, like near the signal booster itself or in corners throughout the building. Each building dictates unique installation requirements, and we are here to help. To learn more about the cell phone signal booster installation process, download one of WilsonPro’s installation guides or join one of our technical webinars, held every Thursday. Or, download our eBook to learn more about the parts, accessories, and installation process of a signal booster system.